It feels like we were just bidding the 2016 season of Live on the Green farewell, but, here we are again, ready to kick off another exciting year of the annual free outdoor fest this Thursday, Aug. 10 at Public Square Park. Per the format adopted a few years back, Live on the Green will run four consecutive Thursdays and culminate with an epic three-day, two-stage finale. Perhaps the most exciting year ever, this season will feature performances from the likes of Sheryl Crow, Spoon, Portugal. The Man, Local Natives, Iron & Wine, Real Estate, The Weeks, Minus the Bear, Paper Route, and more! Tonight’s inaugural installment is set to include St. Paul and the Broken Bones, Michael Franti & Spearhead, and Arkells, so, clearly, LOTG is geared up to hit the ground running. Find out more about all three performers and why you absolutely don’t want to miss them, after the jump! Per usual, LOTG is free and all ages, and music will run from 6:15 p.m. to 11 p.m. Gates open at 5 p.m., and there will be plenty of food and beer vendors on site to meet your needs. Parking is just $5 at the Public Square Park Garage below the festival site and at Nissan E and F lots across the Woodland St Bridge, and various other garages and street parking options are available on the surrounding blocks. Finally, if you’re looking to up the ante on your LOTG experience, VIP tickets and backstage passes are typically available for purchase, however they generally sell out in advance. Find out more about this week’s installment below, and find out more about the entire season on Live on the Green’s site. Hailing from Birmingham, Alabama, soul rockers and longtime site favorites St. Paul & The Broken Bones found breakout success with their 2014 full-length debut, Half the City, which quickly catapulted them from one of the region’s hottest new bands to a national staple, making late night appearances (Letterman was famously so impressed he had them play an encore), garnering radio play, and earning critical praise for their classic, eclectic soul sound and frontman Paul Janeway’s powerful voice. Formed in 2012, St. Paul’s roots go back a few years earlier, when Janeway met bassist and close collaborator Jesse Phillips. 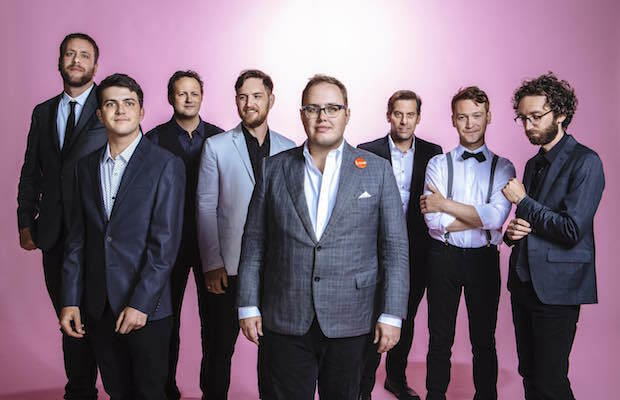 After several years in the Birmingham scene, the pair made a last ditch effort to forge a new project, quickly realizing a knack for soul, and bringing in the rest of what would be St. Paul & The Broken Bones’ original six-man lineup, eventually expanded to eight. Produced by Alabama Shakes keyboardist Ben Tanner and recorded in Muscle Shoals, Half the City arrived on a label owned by Tanner, Will Trapp, and The Civil Wars’ John Paul White, and, following its glowing reception, enabled the band to tour the world, alternating between high-profile supporting spots and impressive headliners at places like The Ryman, in addition to numerous festival outings. The group’s full-length followup, last year’s Sea of Noise, produced by Paul Butler and recorded at Nashville’s Sound Emporium, and began with writing sessions between Coachella appearances, both expanded on their layered soul sound, and built something new on top of it, pulling from broader rock and singer-songwriter influences, and incorporating strings, choirs, and more thoughtful and broad literary references, the LP name, itself, a reference to a Churchill quote. One of the most lauded and impressive live acts to emerge in recent years, St. Paul have blown us away at every show, including their last appearance at LOTG, and we can’t wait for their well-deserved headlining return. Bay Area native Michael Franti cut his teeth in the late ’80s and early ’90s with a pair of genre bending projects, The Beatnigs and Disposable Heroes of Hiphoprisy, fusing punk, hip hop, and industrial rock with socially and politically conscious lyrics, which helped him gain moderate success and praise for his early progressive stances in hip hop, before moving on to new outfit Spearhead in the mid ’90s. After a falling out with his major label, Franti was forced to tweak the name to Michael Franti & Spearhead, and managed to find widespread success as an independent artist (he’s since cycled back trough the major label world, though retained the new name and independent spirit). Fusing hip hop with elements of funk, reggae, jazz, folk, and rock, Michael Franti & Spearhead are renowned for their smart, uplifting, and eclectic sound, tackling everything from global politics to LGBTQ acceptance to social justice, informed by Franti’s various actives in activism, documentary filmmaking, and poetry. 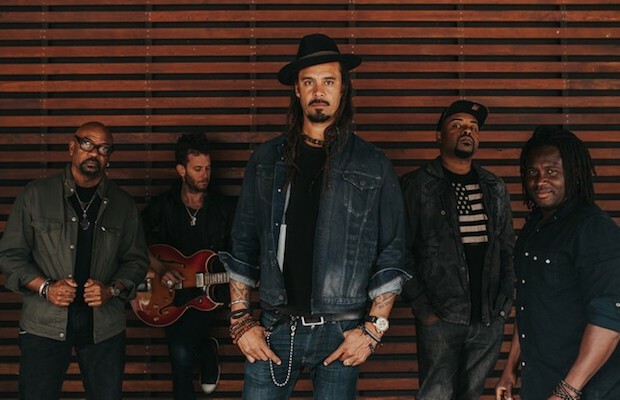 With nine full-lengths, most recently last year’s Soulrocker, over more than two decades, the group have become a beloved live force and positive beacon, embraced by various musical communities and festivals across the globe. 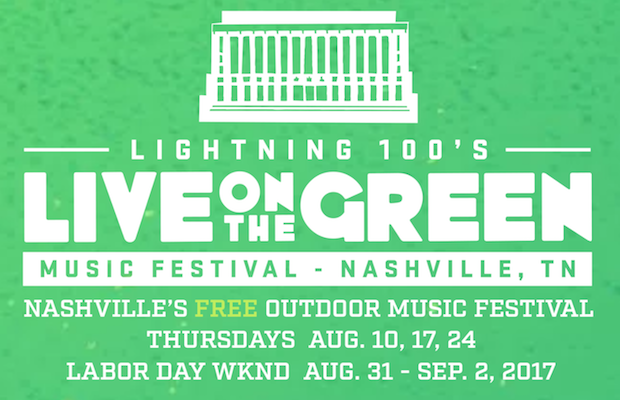 No strangers to Nashville, we’re sure their return performance to Live on the Green will be remarkable. 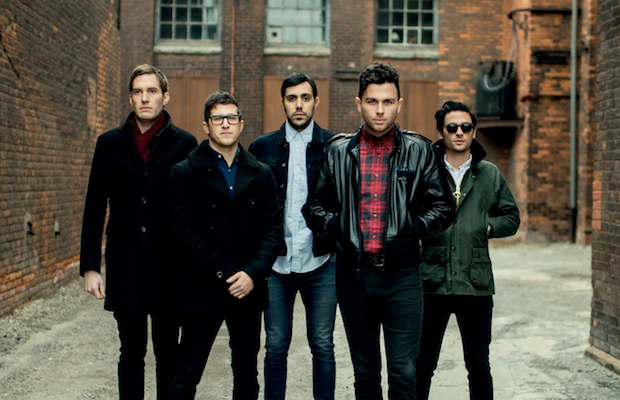 Named for Arkell Street, where they lived and practiced in Hamilton, Ontario while attending McMaster University, alt rockers Arkells have been going strong since self-releasing their debut EP, Deadlines, a decade ago, soon inking a deal with Dine Alone Records ahead of their 2008 full-length debut, Jackson Square. The group found early buzz in the Great White North, proceeding to tour the nation and even bagging their first Juno Award for Group of the Year in 2012. With 2013 third album High Noon, produced by Tony Hoffer and featuring a shift towards a poppier, more stylish and electro-laced direction, the band finally found more attention stateside, and, in recent years have shared the stage with the likes of Lights, X Ambassadors, and Tokyo Police Club. Last year’s new album Morning Report seems only to indicate that Arkells’ ascension to broader musical recognition is still underway, and with their honed, high-energy live show, they’re a great fit to kick off another exciting season of Live on the Green!